South African artist William Kentridge is featured in a touring show from the Hayward Gallery, which travels across the UK but also in what seems to me the first really successful use of the circular walls of the Tate Modern’s Tanks: I am not Me, the Horse is not Mine (until 20 Jan). 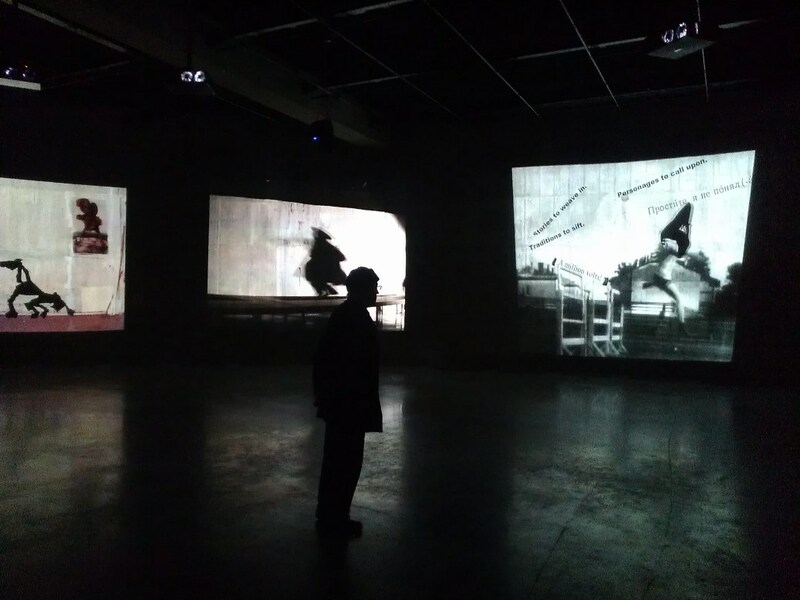 In Kentridge’s distinctive almost monochromatic style he offers a series of eight simultaneous films. The cavernous darkened space gives one an almost surround cinematic view of disjointed images which constantly form and reform to create an immersive experience which will be unique to each viewer. The images have a flavour of Russia, some of them based on his drawings for the Shostakovich opera for the New York Met, The Nose, which was based on a Gogol story. With expert assurance, the films mesmerize one in their absurdist interplay as Kentridge draws African imagery through shapes and figures that tantalise with a bizarre historical narrative. This is performance art with a theatricality that challenges and entertains rather than demands artistic indulgence.